I’ve been addicted to this dressing or sauce for a couple of years now. 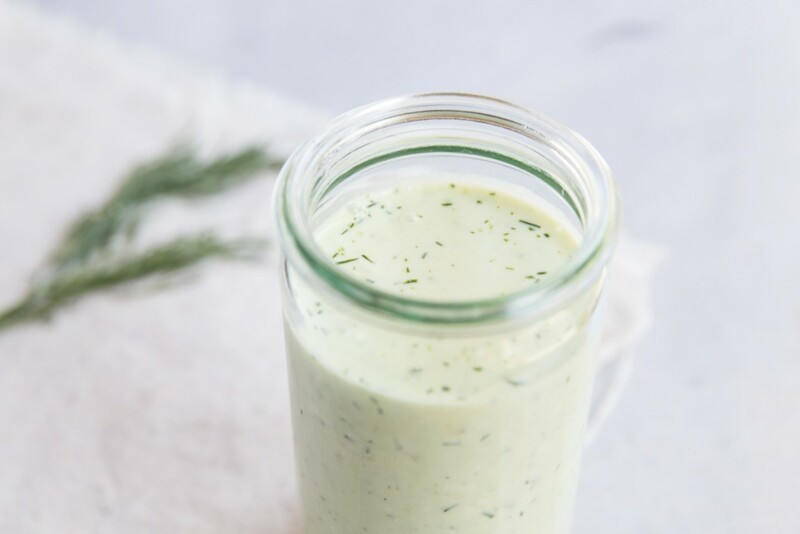 This creamy Greek yogurt dressing is perfect on just about everything. I think I said that earlier this week about pickled red onions, but I truly mean it. During the summer we’re drenching just about every savory meal with this sauce or topping most dishes with pickled onions. 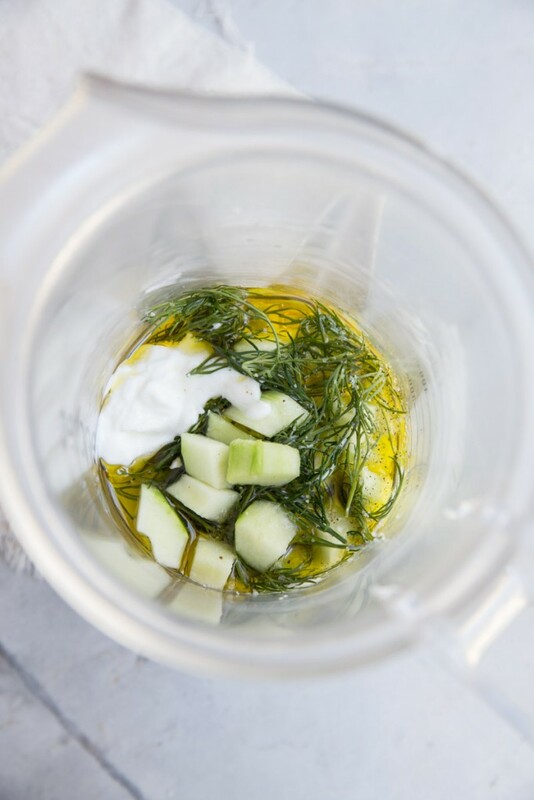 This week I hoped to give you two of my staple condiment recipes that you could use all summer long but don’t fret I’ll also give plenty of ideas of what to use them on! We use this Greek yogurt dressing on Greek-style pasta salads, gyros, over roasted veggies, over chicken or lamb, on top of simple seasonal salads, and as a dip for veggies or pita chips. 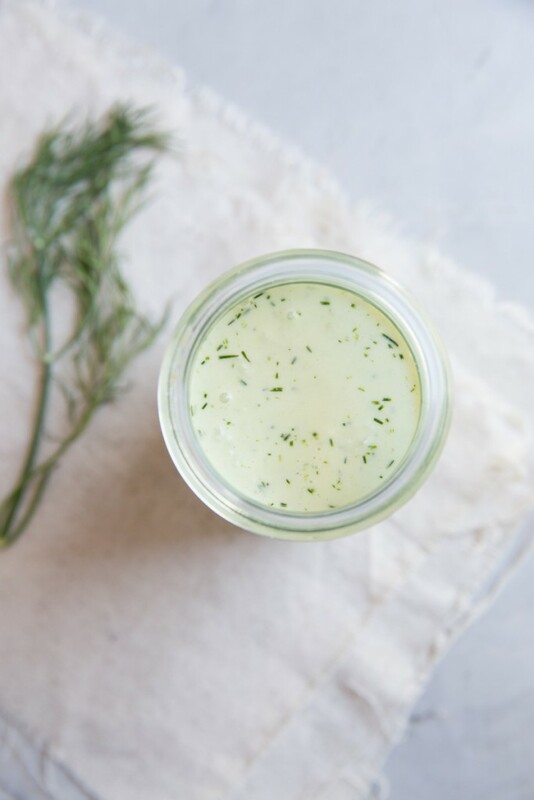 Staple dressings like this are the best because you can make a big batch at the beginning of the week then enjoy a homemade sauce all week long. 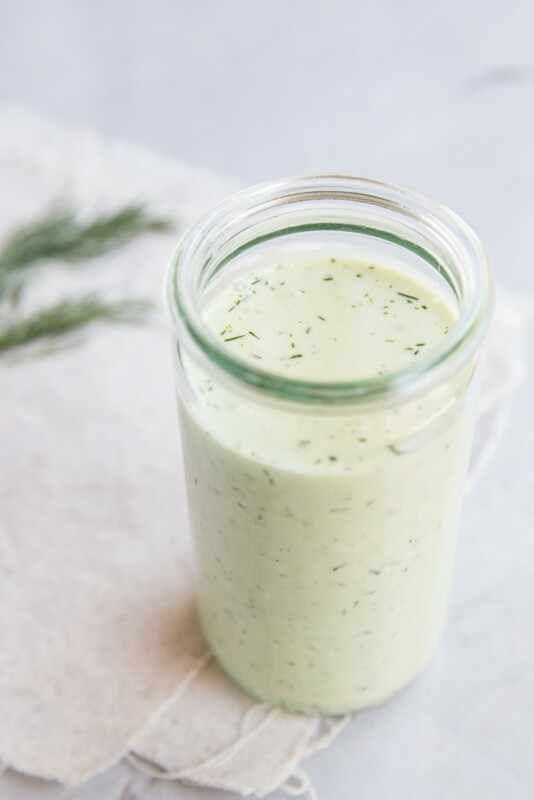 An easy recipe for Greek Yogurt Dressing that you can use as a sauce or dip with just about everything! Peel and seed one medium sized cucumber by slicing it in half lengthwise and using a spoon to get rid of most of the seeds. Slice up the cucumber. 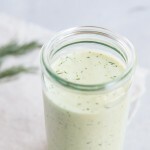 In a blender or food processor place half of the sliced and seeded cucumber (3/4 cup) along with all of the yogurt, oil, dill, red wine vinegar, salt and pepper. Blend until creamy and smooth. 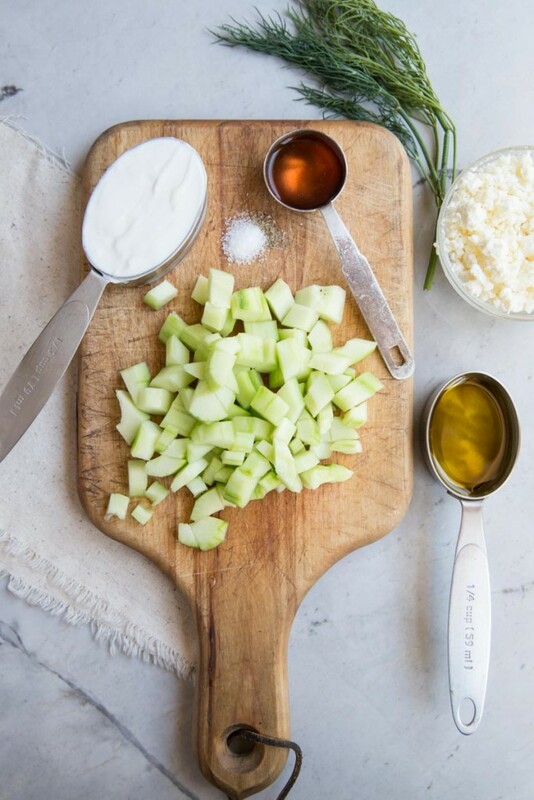 Add in the rest of the cucumber along with the feta and pulse a few times, just to combine. You can use plain yogurt for a lighter sauce or Greek yogurt for a thicker, more dip-like sauce.